I have been getting this current topic in my mind for about a month now but for some reason I kept postponing. Finally as the signals got louder and stronger I finally I poured it out here. All the things I mention here, as always, insist are my views and its interpretation could vary from person to person. However, the only intent behind these articles is that it provide light to darker patches of those sadhaks who confront the obstacle of DOUBT. If it does not seem appropriate please move on and if it does and if it helps, thank Babaji because everything comes from Baba, who knows everything and keeps providing it to us timely. There have been many queries about obstacles in the path. I will write soon about the many obstacles that are common on the path but right now I would put down something about the biggest obstacle on the path - DOUBT! We all go through different phases of the path and it certainly is not easy to be on the path. Doubt is the negative energy that every single seeker faces some or the other time during the practice. Usually it is during the starting stages and eventually as the grace catches on and one's level of consciousness rises, it is wiped out and everything becomes clear and apt. This article goes well for starters on the path and for ones who have been on the path but something comes up suddenly and doubts suddenly emerge out of nowhere. 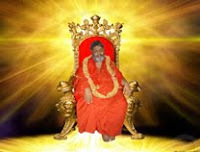 Usually in shivirs we all notice that the energy is very high, vibrations are very high enough to keep one in bliss and shivirs are thus the few days in heaven. But the real challenge begins when one returns back home and begins with the sadhana. With Babaji it is easier because of his divine presence but when one is back, what is going to help then onwards is one's faith, sincerity and following of Babaji's teachings. That is why Babaji says by the end of every shivir that one has to continue keeping the same vibrations when one returns back to worldly duties by staying positive, choosing what is only good for you and rejecting anything and everything that is not good for your highest good! What normally happens is that one gets back home in high spirits and continues being in that spirit for the following days but what usually happens is that the awareness of the thoughts and situations start going down and one becomes less careful to what is coming in from all sources. This is not at all difficult during the shivir days because all you have there is only holistic thoughts and actions. Moreover happiness and well being becomes very conducive in shivirs since all around there are people of similar vibrations and interests thus giving one very, very, very less oppositions or frictions to one's well being. 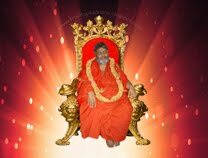 Even more, one is doing only sadhana for most of the hours and most wonderful is that one is always in the vicinity of a siddha guru's divine radiance of divine grace and bliss. Even if one happens to get a bit negative during breaks or when one returns back to the hotel room or gets into something with the outside world, these impressions are immediately blown the moment Babaji walks in, during the very few minutes of next morning of the shivir. Thus, there is nothing that you need to worry about in shivirs. But essentially what Babaji teaches is not just to be blissful in the 9-11 days of shivir but he sort of trains one how to perform the same kind of actions of bliss even when you are back in the material world. Babaji has many times given example of how he had a glimpse of the divine during one of his travel and experienced ecstatic heavenly bliss and remained immersed in it for sometime. He then had a thought hoping that he stay in that state only without having to come back. The moment he thought of this, he was back to his physical reality and Babaji tried to get back to that state but could not. 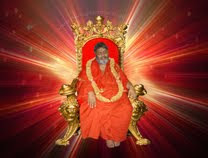 Being taken aback and a little disappointed on this, he questioned as to why this had to happen and that was when his guru mentioned it to him that this state that he experienced out of his physical body could be experienced in the physical body also and that he should learn to experience this state being in the physical body. This is what Babaji tries to embed that he wants sadhaks to learn to be in that state and experience it in the physical body. Similarly, the bliss that one experiences during the shivirs can be compared to what Babaji experienced out of his body. Shivirs are truly an out-of-reality experience for many because one experiences what one usually never experiences in worldly life. By the time the shivir is over, one hopes, like in Babaji's experience, that this experience remains for ever but by the time one gets back and mingles in the world that is full of all kinds of vice and virtues, one realizes that the connection is gone! Like Babaji's experience one again tries to long for the same kind of state of mind, body and soul, but fails at times. So, just like Babaji's guru, our guru also gives us the same message that in the same way his guru wanted him to experience the bliss being in his physical reality, we also must learn how to experience the same shivir experience of bliss even when we are amidst the world of dualities, when we are living our mundane lives. Usually, it is observed that many seekers go to shivirs with lot of doubts. This is because of the questions asked to Babaji or other sadhaks. Many doubt themselves the most than anything else. They are unable to trust their inner self itself that has already brought within them an inner awakening and put them on the path of spirituality. Not that such initial doubts are a sin, but it does creates lot of barriers for one to experience the bliss and keeps one away from the privilege that is their birth-right, that is their true self. There are doubts even when they see clear visual experiences of others. Leave aside other's experiences, sometimes, even after experiencing such experiences themselves, there is an inability to believe and trust what is happening to them. This is nothing but the play of maya - the strong play of illusions. Maya is easily accepted by the logic mind. It is so strongly and deeply embedded in the logic as impressions of society, education, upbringing or rituals and traditions, that the mind always longs for proof with the five senses - sight, taste, hearing, touch, smell. Why all this, we use all these five senses at all times to check with proof of every truth. If someone says the dish is too spicy or too salty and not fit for eating, one will never trust and leave the dish alone, but a little will be tasted for sure. If someone tells the advertisement on the TV is obscene and not worth watching, one will still want to atleast have a one-second glimpse of it to conclude whether it is really obscene or not, however holy he/she is. If you tell someone that there are 170099 trillion stars in the sky he /she may believe you but if you tell that the bench or door is just painted and is wet, he/she will touch to ensure it. Hilarious right? Same happens when one tests a guru. All tests are done only with the five senses which in itself has its limitations. It's limitations are only limited to the gross level and one should never expect to catch a guru or any divine being or form of the divine at the gross level because they exist at a subtle level. It is certainly not a sin if one has doubts or questions before coming to a guru, but once one accepts one as the guru then there should be nothing apart from surrender if one really wants to progress. Before meeting Babaji and sometimes even afterwards I admit that I have tested things the same way as the examples given with the dish, advertisement and painted door. But once one experiences that infinite power and state, that the logic mind would not very easily agree, then one should surrender to those experiences. That is why Babaji says that healing takes place and then sometimes recurs because one is not able to acknowledge the healing. Even if the healing takes place one still would want to go check the scientific results or even want to call it a co-incidence and doubt the whole process and happening. Thus doubts arise. If attempts are not made to combat doubts, then doubts start arising in everything - the sadhana, the way of living, the guru, the divine, and anything that cannot be tested by the five senses. Thus one succumbs easily back. One then starts wandering off or slowing one's speed of progress on the path. Babaji once said, "Don't keep fluctuating in positivity and negativity. It is like taking 2 steps forward and taking 3 steps backward and instead of gradually moving ahead (upwards) you move backward (downwards). Then it is still better not to walk at all." 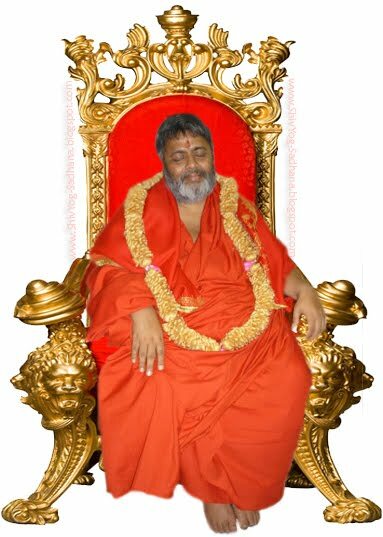 I receive many emails and queries on a daily basis, most of which are pertaining to the sadhana and one is eager to know if one is following everything systematically because sometimes results do not show up. Almost all the time I have seen is that it is due to either lack of patience or lack of faith. Both of these cause doubt. When there is doubt in mind, how can one do sadhana? Babaji reminds what Krishna said in Bhagwad Gita to Arjun "Karm kar, phal ki chintha math kar" which means "Perform the right action and worry not about the fruit of the action." But most of the time, the mind is fixed on to the fruits of the action when sadhana is done and one even constantly keeps a check on the progress of the results of the sadhana. This further delays the fruits because when mind is on the fruits, it becomes a selfish action. It becomes an action for which one is seeking a reward. For one to detach from the fruits of the action, one must develop utter faith in these golden words. When faith develops, patience develops and when faith and patience develop, doubts just vanish! Otherwise, when results do not come, one begins doubting the self, the practice, the guru, the people, God and everything and then comes up frustrations, confusions and disappointments. So, it is none external to blame, it is always the self. It is impossible to connect to the divine when one doubts the presentations of divinity itself or when one doubts the process of sadhana itself. Not to mention that it is impossible to carry on if one has doubts in the guru itself. As Babaji says, there cannot be anything dual in higher levels of consciousness. It is always one. You can choose only one at one time not it's opposite. I have interacted with people who have doubts about the guru and at the same time also wish that their sadhana works out well for them. How can it work? If a stranger suddenly meets you and gives you a chocolate, is it possible that you can relish the chocolate if you do not trust that person? These are dual thoughts and they will never work. It is difficult to proceed unless one has faith and patience. I am admitting that I have not been an exception to such experiences, but I have had to learn things the hard way because all the time my logic created problems for me, which if I had acknowledged rightly, would not have caused obstacles for me. These real examples are mentioned here because even if one has these doubts, the fear of offending the guru or someone will prevent it from being discussed. Again, as Babaji says, people go to God commonly out of two things - greed and/or fear. Greed, because one needs a lot of things in life and fear because one is scared that God may punish if one does not go to him. Babaji says God and guru cannot be angry or punish because if they do, they have to first vibrate lower, which they will not and if they get angry or punish then they cannot be God/guru. So, after knowing that many are facing similar obstacles, I chose to put it here and share it with others so that they may avoid such obstacles coming in the path of self-purification. If at all there still arises anything in your mind, talk to your guru/God during your sadhana and you will see that there will be enough answers in the way you seek the answers, even through your five senses if your intent is that strong enough. People with doubt have asked me if I believe that the guru really comes when called. I need not state further than the fact that this simple doubt itself is enough to make one feel that calling a guru and communicating with him is hallucination. 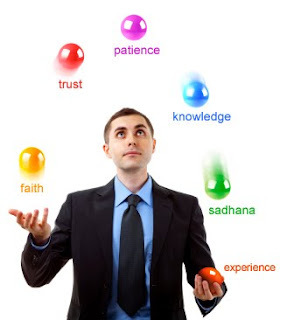 (Read communication with masters) "Kaun kehta hai bhagwan aathe nahi, mai toh kehtha hoon tum toh bulathe nahin" Here 'bulana' is not the verbal calling but the calling with trust and faith with the total absence of doubt. Guru bhakti is the attitude of humility, love and loyality held by a student in any field of study. In the spiritual realm, the devotee strives to see the guru as his higher Self. By attuning himself to the satguru's inner nature and wisdom, the disciple slowly transforms his own nature to ultimately attain the same peace and enlightenment his guru has achieved. Guru bhakti is expressed through serving the guru, meditating on his form, working closely with his mind and obeying his instructions. For guru bhakti one does not need to meet him personally, nor offer him garland or gifts and if at all this needs to be done, let it be done within for even if one showers the guru with gifts, praises and flowers but have even a fraction of doubt, everything is useless. Surrender to the guru is important because he can see things from a point from where we cannot see. Once the guru has given an initiation and has taught a way of life, the focus should be totally and totally only on the teachings and how best can one use these tools to purify the soul. For assistance one has to connect to the guru tatva and not to the physical guru himself. It becomes very easy to judge a physical being because we have certain set of notions in our mind. Many disciples of many gurus have faced this problem. They fix on a certain set of definitions to what and how a guru should be. This definitions are based on what traditions have taught or what samkaras one has cultivated throughout lifetimes. Then, when the guru does not meet their standards of how a guru should be, they are disappointed or start judging. This is dangerous. It does not matter in any way for a divine guru to explain or defend themselves because they know what they are doing but it certainly does cause major obstacles in the seekers. All great ones on the path of this siddha marg have mentioned that surrender to a guru must be 100%. Even another yogi whom I often meet explained to me the importance of surrender to a guru to the extent of even jumping off a cliff if he asks to and even surrendering if he has 100 wives. (To read it click here). It is very simple to note that what one perceives about an enlightened being is not easy to interpret because of the different level of consciousness the teacher and the student are at. There is a wide distance in the level of consciousness of the guru and disciple. Interestingly, if the disciple would have been at the same level, he/she would not have been a disciple itself. Would not the disciple remain unaffected by all situations and karmic influences and worries and disease and what not and go beyond it all like his guru? The very meaning of one being affected in any way by karmic influences means that he/she needs a guru who can guide him/her on the path. Once one then chooses what is right for him/her, then there should be given no room for any doubt. Even without the path, all religions have always emphasized on total surrender to the divinity to get going well in life. This has worked wonders in religions even when one has not seen God or tested the divine with the five senses. There is no way out but to first believe and trust in the process of the divine and cultivate it further with faith and patience. I just remember Sai Baba, whose only two eternal golden words are - Shraddha and Saburi (faith and patience). Without faith, the progress is very glimpse. What one does not trust in will not bring in results. It is now clear and known that if the patient does not believe that he can be cured, he will not recover. Even the best of medicine and modern equipments cannot save him. Similarly even the sadhana will not bring results if there is doubt of any kind due to lack of faith and patience. That is why Babaji even said, "Even if nothing happens do it mechanically atleast consistently and soon things will fall in place." There are many many times that Babaji uses the words "Believe me" "Trust me" "I am saying nothing but the truth." "I am not mincing words." "Yeh akshar akshar sathya hai" (every word is truth) This is because it is very difficult for the logic mind to let go of the dominance of being the only tool for testing the truth. Someone recently told me that he has blind faith in Babaji and then spoke next about how things are not falling in place and also questioned certain things about the guru. It was amusing to reply that this is not blind faith. It is only a blind myth that one has faith and surrender. Where there are doubts there CANNOT be surrender or faith. It is highly contradictory. It is just like one cannot say one has faith and trust in one's spouse when one keeps a watch on the other, even if one tries to convince oneself or even communicate to the spouse of one's undying trust, the underlying reality is still totally different. Everyone has a free will and no guru will ever want to stop anyone who wants to think or conclude anything about them, the practice or others because they know the guru has nothing to lose. That is why all gurus have never forced anyone to become disciples nor do they try to stop or explain to anyone who wishes to leave. They are happy with whatever decisions one makes and they are happy that they had the opportunity of blessing them at a certain point in their life. Any guru who tries to stop anyone or convince in any manner cannot be a guru. Babaji often reiterates that if they already have a guru before coming for the shivir, they need to go back and pay gratitude to their guru and continue with their practice their guru had taught them, only thing is that with Sanjeevani their practice would become more enhanced. He even says it is the sadhak's wish to take his guru mantra as their guru mantra and that if someone already has taken a guru mantra before they can certainly practice that.There is a lot to come if one develops this undying faith in one's guru or God. To summarize, doubts vanish when faith and patience comes in. 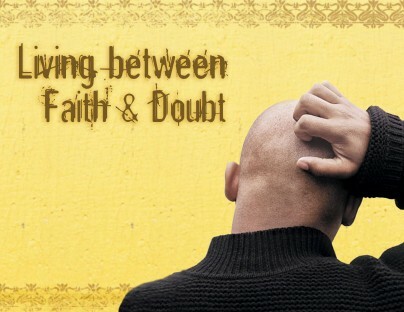 What to do if doubts arise? Nip it in the bud before it becomes a huge tree that is later difficult to uproot. Re-live your positive experiences of your sadhana. Think of all the experiences that changed your life and is changing you. Stop participating in wise intelligent discussions involving anything else other than your sadhana. Stop feeling guilty even if you have doubted. It is natural but it must be overcome. Get back on track. Stop blaming external circumstances, situations and people for not being able to do sadhana. It is more got to do with something internal. Accept 100% responsibility. Stop comparing yourself with other sadhaks. All karmic levels are different. All levels of purity are different. Do not stop doing sadhana because that is the only thing that will in the first place help in clearing your doubts, fear and guilt. Keep doing it. Do not measure every sadhana with having experiences of others or even compare your experiences with previous experience during sadhana. They can vary and depend on many factors. Move away immediately from negative people or people who criticize or judge others or paths in any manner, be it your own guru or other gurus. Do not fall into the sensationalism of negative news on any guru, whatever the truth might be. 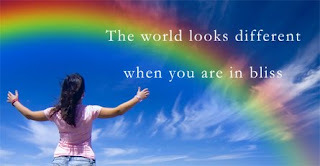 When we analyze with our intelligent minds, we unknowingly judge and share other's karmas. Do not try to measure the infinite with the finite five senses, you will fail badly. Believe in all the positive experiences that you have and hold on to it. Whenever doubt arises say to yourself that it is your negative impressions (karma) raising it's hood to release itself; allow it to release without judging or analyzing such thoughts. By all means, ask or share with others whom you feel might help, but do not pour out your final analysis of what your mind has produced, assuming and expecting it to be the final verdict for all others. Very, very importantly bring into practice each and every bit that the guru teaches, not just picking what is delightful for oneself and discarding the rest assuming it not to be worth for oneself. If it was not worthwhile, it would never had been taught in the first place. Have the faith that whatever has been taught by the guru has to be practiced first, not analyzed first, experimented and then practiced. 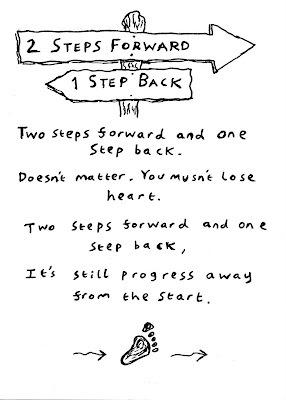 Let go of being too technical, methodical; learn just the basics of the sadhana steps and follow it with your heart. The corrections and changes, if any, will automatically start taking place eventually. Don't get too much into calculations of contributions or with how much you have contributed; none of these bring any positive effects into your life. This comes in when one thinks of it as a deal that one needs returns after investing something. Again, calculations come when one has decided how their guru should be according to their specifications and expectations. Allow the guru to do their job in whichever way he pleases and not the way one pleases him to do. Gurus know their jobs, disciples must know theirs. Withdraw from what others are doing and being political about the way things are seen to the physical eyes. As Babaji says that what others do is their soul agenda and their karma, why does one want to share their karmas when one already have so much of their own? Let the focus and aim be only and only self-purification. When the need and goal is just this, nothing can stay an obstacle for longer than you decide it should be an obstacle. Anything or any discussion that talks about other sadhaks or talks more than the teachings of the guru on the guru is a major eater of the good deeds that you have already earned. Refrain totally from this. Check the quality of thoughts at all times by being aware of what is coming in and what is going out. Refuse to accept what you think is conflicting and reject it there itself. Be disciplined in your practices because laziness and excuses give plenty of room for doubts to plant their seeds and do their job successfully. Do not expect miraculous results with just a verbal prayer without much conviction in that prayer to the guru or God and then doubt why things don't seem to happen. Accept that the path can put you into all kind of trials and tests. Affirm strongly to be victorious. Never share such doubts with others because you might end up actually ruining someone else's successful practice and I need not mention the karma that one takes for this. While on the path, one can get easily distracted that can affect the quality of one's sadhana. Try to keep all areas absolutely clean of any doubt, guilt or fear. When obstacles like these come, one should know that it is one's prarabdh that is playing the game and thus not feed it more, so as to attract further karma. Know that there is no shortcut at all in any path of spirituality. You first have to undo (release negative karma) what you have done before knowingly or unknowingly. Keeping this is mind will help keep silly doubts at bay. Know that doubts are not reality but the projection of your mind. The disturbing factors that you see or doubt externally are nothing but the disturbing factors within that is trying to gain your attention by showing up externally. Acknowledge it and let go of it. Divert your mind to something more pure and clean when doubts arise from within or arises in a person who wants to spill it on to you. Don't withdraw yourself completely with a sense of isolation and injustice. The more you think and brood in it, the more negative factors will creep out and in such state of mind even the most silly doubt will sound too good to be true. Know for sure that this also is a temporary dark phase, which also shall pass. The best of seekers have been through it. Take some time off if required. Give yourself good rest and pamper yourself with a small vacation. Take, read, ask, see, understand only what you are able to digest. Taking anything more will result in something called as spiritual indigestion. You may google this word to see how common this is among spiritual people. Doubts also come with ego or even worse - the spiritual ego. Keep a careful check on this. Doubts also come when the eyes are on other's plates than one's own plate. Watch your plate and enjoy what is served in it too. Be true, honest and sincere to yourself. If this is not there, then it is not a surprise to see oneself questioning the truthfulness, honesty and integrity of the world. Tune in to your inner guru, which is the one who lead you to your outer guru. Connecting with the internal guru connects you back to your external guru. Just thinking of the law of attraction of how you attract what you think and create your own destiny, will put an alert to ward off doubts or negative thoughts about your practice. Lastly, do not do the practice or do sadhana just because somebody asked you to do. You will have to first experience and believe it. Shivirs are the best place to do so. I recently came across your articles, and I must say I loved them all. It is nice to refresh the memories of Babaji's speech through your blog! Hi Jacob! Namah Shivaya. I received Sri Vidya Deeksha Level 1&2 in November 2011 Chennai. I am still not able to begin my Sadhana properly. because of obstacles in family and I am also responsible for some reasons. I am an extreme character. I become overwhelmed sometimes and depressed many times. It's just like a cycle. Now I am so depressed that "mere jeene ki chah kam ho rahi hai". I don't know what to do and how do I change myself and overcome all the obstacles. Please I need advise, solution and I need healing so that I can start my Sri Vidya Sadhana. Please help. As you already mentioned that you know you are responsible for it for some reasons. That itself is enough to help you trigger the solution for it. First is the spiritual discipline which comes from will power, which is something which you can do on your part. The other is allowing the Divine to work, which is through gratitude and faith. The act of gratitude itself is a great helper in grace. The cycle that you already are aware of is a very tricky one. It keeps looping. You mentioned of needing help in removing all obstacles and changing yourself. Please know this very firmly that all our problems or obstacles will not vanish overnight, but it is something that will keep decreasing - provided we dont create new impressions and new negative karma that can give the already existing one a boost until it becomes overwhelming. The best thing when things become overwhelming is to accept the situation. Acceptance will pull back the urge to struggle through things. It will calm one down first. Once one accepts things the way they are and once the nervous energy settles down, one will get more clarity to think. Next step is to put forth a disciplined schedule and follow it resolve to follow it dedicatedly. Be patient with yourself. Be loving and kind to yourself. Know that nothing is permanent, everything passes, so will this phase. Pamper yourself. Take a break if the need be and get back when you are refreshed. Will pray for you. Namah shivay..